Stakeholders are concerned that member states could interpret the court’s ruling differently. Europe’s highest court’s decision to forbid the patenting of stem cell lines based on the destruction of human embryos will hinder regenerative medicine and commercialization, though less than what many observers have speculated publicly. Eyes will be on how national patent offices respond to the new ruling as well as on new technologies that could crop out of the ban. The Court of Justice of the European Union (ECJ) decided the case against Oliver Brüstle, Ph.D., who since 2004 had fought to maintain a 1997 patent covering methods for deriving neural cells from hESCs despite a challenge from Greenpeace; Dr. Brüstle is director of the Institute of Reconstructive Neurobiology at the University of Bonn. In 2006, the European Patent Office (EPO) stopped granting hESC patents, though national patent offices across Europe continued to do so until the ruling. EPO is not bound by ECJ rulings since it is not a member state, Martin MacLean, a partner with the law firm Mathys & Squire, explained to GEN. However, national patent offices across the continent are supposed to adjust their practices along the lines spelled out by the high European court. For example, MacLean explained, until the ECJ decision, the only key EPO ruling on stem cells was its rejection in 2008 of Wisconsin Alumni Research Foundation’s (WARF) hESC patent application filed in 1995. At the time, the decision affected some 200 similar inventions whose patent applications were then pending in Europe. An appeals board upheld the EPO decision but noted that the ruling “is not concerned with the general question of human stem cell patentability.” The appeals board established that if a stem cell patent application only described one way of putting the invention into effect and that one way involved hESCs, then the patent could not be awarded. In the WARF case, MacLean noted, the board failed to answer some logical follow-up questions: What happens when there is more than one way of putting the invention into effect and one of those ways involved adult stem cells? Will a patent not be granted because the language used embraced hESCs, or must there be a cutout to explicitly exclude hESCs? Advanced Cell Technology says its ability to carry out the first hESC trial in Europe won’t be affected by the Court of Justice of the European Union’s decision, citing what it calls the court’s careful language. ACT has begun treating patients as part of a Phase I/II trial for Stargardt macular dystrophy using retinal pigment epithelium derived from hESCs. Research on induced pluripotent stem cells (iPSCs) and adult stem cells is also unlikely to be affected by ECJ’s patenting ban for hESCs, MacLean said. While much research has indeed been done on iPSCs, more clinical work is needed to prove that they work. Cytori Therapeutics said it could be among stem cell instrument companies helped by the ECJ decision. The company’s Celution® System family of medical devices and instruments extracts and separates stem and regenerative cells from an adult patient’s own adipose tissue rather than from human embryos. “The decision is not going to have any impact on Cytori’s patents, because the ECJ ruling is clearly directed to embryonic stem cells,” Richa Nand, Cytori’s in-house counsel for intellectual property, told GEN. “We have other barriers to entry other than just patenting cells, and we focused on creating overlapping layers of patent protection. And I think that’s what other people in the field will have to really emphasize moving forward.” Cytori has separate patents for the Celution system device, single-use consumables, reagents, user interface, etc. Cytori has won both initial and expanded indication approval in Europe for Celution, which is not yet available in the U.S. The expanded approval, received last year, covered new indications such as breast reconstruction, repair of soft tissue defects, as well as the facilitation of healing certain types of wounds such as those resulting from Crohn disease. But that’s small comfort to companies looking to commercialize hESC-based technologies. 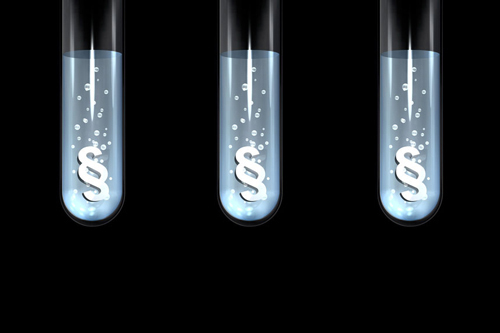 Investors already nervous about pouring money into stem cell companies will likely find another reason to avoid investing in hESC companies, if not the whole stem cell field altogether. To be fair, the reason for that could also be reticence to fund any biotech company, if the third-quarter venture capital reports are any indication. The situation in Europe should stoke additional hESC and even adult stem cell research activity in Asia, considering the U.S. outlook remains uncertain. If the Obama Administration does not survive next year’s presidential election, a republican nominee is all but certain to oppose federal funding of hESC research. Even if President Barack Obama does prevail at the ballot box, the ongoing Sherley v. Sebelius court case could hamstring hESC research Stateside as the ECJ has managed to do in Europe.